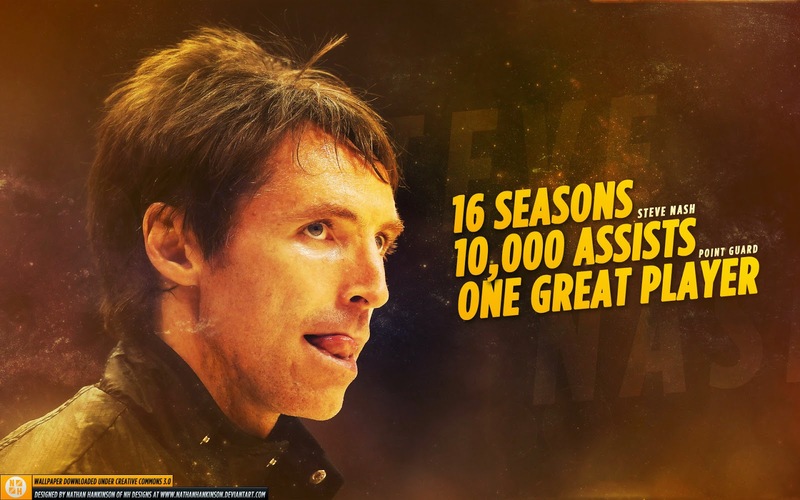 Many people remember Steve Nash for many things: a Canadian hero, a redefining player and a great passer. For me, he was simply my favorite Dallas Mavericks player in history. I remember watching this scrawny-looking point guard in 1998 from Reunion Arena, as a chorus of boos rained down from the rafters. The young buck leading the inept Dallas team was Mr. Nash, who went on to shoot only 36% that season. Nash had so many reasons not to be an NBA starter, much less a superstar. In high school, he nearly averaged a triple double, but that was at a private boarding school in Canada. In college, he had a fine career but not jaw-dropping statistics, and he went to Santa Clara, whose basketball team hadn't been relevant since the late '60s. After his junior season at Santa Clara, he decided against going pro, as a first round draft spot seemed minute. He proved that to be a wise decision, having a solid senior campaign and getting drafted in the first round by the Phoenix Suns, albeit to a slew of boos by Suns fans on draft day. Very few knew who he was, and even fewer could predict what was about to ensue. Just five years into his pro career, the affectionately nicknamed "Hair Canada" player became an NBA all-star and a first-team All-NBA selection for the first time. Then, the summer of 2004 struck, one of the darker off-seasons of my sports life. I can't blame Nash for heading back to the Valley of the Sun, though, as it seems apparent that Mark Cuban and Donnie Nelson took his suspected return for granted. In the next two years, Nash would win back-to-back MVPs and lead the Suns to the Western Conference Finals. He nearly won a 3rd straight MVP, but his best buddy and former running mate in Dallas, Dirk Nowitzki, claimed the title. The two would go on to have an exciting rivalry, but it was one that Mavericks fans like myself just couldn't embrace. Flash forward to Dallas winning it all in 2011. There is no doubt I was feeling ecstatic and beside myself. However, as the excitement began to waver, ever so slightly, in the coming weeks, something felt off. It was that Nash was not a part of the championship. People ask me what I loved so much about Nash, a player who was with the Mavs for only about 1/3 of his NBA career. If I could put it into four words, it would be work ethic, will and wisdom. Nash didn't have the innate talent of most NBA players. He couldn't jump out of the gym, or get an easy bucket like most stars. The truth is, he battled through back injuries his whole career, and did so against many bigger, stronger players. But, the wisdom that emerged through his vision, the work ethic to outperform those with more innate talent and the will to play through any injury or setback makes him truly my favorite Maverick. As the news recently broke that he will miss this season and possibly enter retirement, I found myself feeling bad for Nash, not being able to end on his own terms. But, then I remembered who Nash is as a player and a person, and that should be his legacy. To me, he was the Derek Jeter of basketball, without the rings. The way he conducted himself on and off the court, keeping his private life private and being so consistent, were eerily reminiscent of Jeter. There's a reason he was named by Time as one of the 100 most influential people in the world. His passion for the game, his vision, his skills and his charisma were infectious for fans, and will never be forgotten. Whether or not he comes back for one more run, it's okay that he never won a title. He will always be remembered for his warrior spirit, underdog mentality and professionalism. Thank you for giving us everything you had on every night, and for leaving the game a better place. At first glance, one would say that the 2014 season has been kind, to say the least, to the Arizona Cardinals. This year’s Super Bowl host has thus far overcome quite a bit to be sitting pretty at 5-1, and is on pace to potentially buck the long-term host city jinx. No team since the 1984 San Francisco 49ers has reached the Super Bowl in a year in which they were host to the big game. In addition, since 1984, only four host city teams have even made the playoffs in the same year, a stunningly low percentage over a 30-year span in a league in which such parity exists. Call it chance, collusion, or a little bit of both, but that is what these Cardinals are up against this season. It’s a start only fitting after QB Carson Palmer went down with a shoulder injury in Week 1 and missed three weeks in a row. Fortunately for the birds of the desert, he is back now and as sharp as ever. Their 5th ranked defense has been the strength of the team, stopping the run and forcing turnovers. In the hotly contested NFC West division, the Cardinals have been the mark of consistency and now have an inconceivable comfortable early season lead. The schedule continues to provide challenges with upcoming contests against the Philadelphia Eagles and Dallas Cowboys, which should give us a much clearer picture of this team. Should they be able to split, or dare I say even sweep, the next two games, it would impossible to deny them of being the class of the entire NFC. The question then becomes, for a team sitting at 5-1, how many wins will it take to make the postseason and threaten the long-standing jinx? Last year, these very Cardinals won an impressive 10 games and missed the playoffs. History couldn’t possibly repeat itself, could it? These are some of the things to keep in mind as you begin to shift your Sunday late afternoon game viewing towards the team from the valley of the sun. Keep on shining Cardinals. Keep on shining. It's around mid-October, and the Kansas City Royals are playing baseball. I never thought I'd say that in my lifetime. What looked like a nice story for the city just to make the wild card game has turned into one of the most Cinderella stories in baseball history. In a sport dominated by lopsided payroll teams like the Yankees and Red Sox, it's so refreshing to see the ultimate underdog make the biggest stage in the sport. Perhaps, the person most indicative of just how unpredictable and chaotic this run has been is Brandon Finnegan. Before September 6, he had never pitched an MLB game. 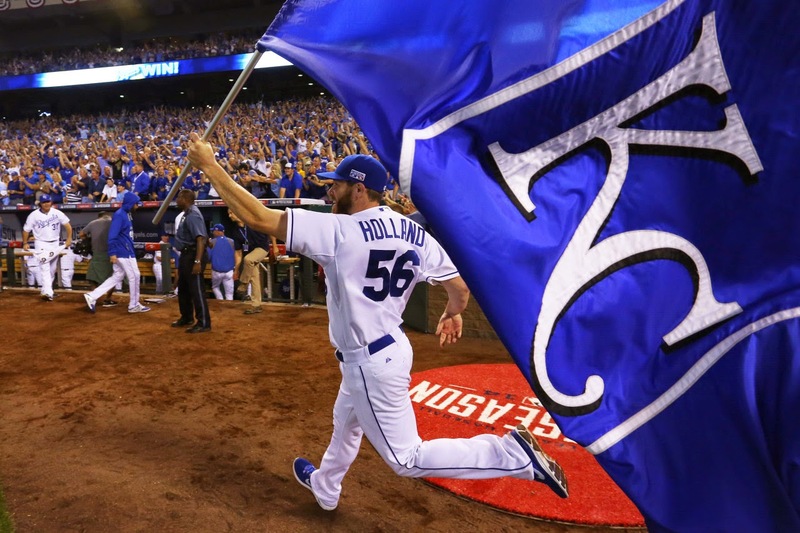 A month later, he was pitching crucial innings for the Royals in the playoffs! But, leaving the heroics aside, let's give these Royals the credit they deserve. It's not like they had an easy path. In fact, it was arguably one of the toughest paths of any team in recent memory. First, you have Oakland, who was once 28 games over .500 and seemed to be a lock for a top two seed. They disposed of the A's in wild, walk-off fashion. Then, you had the Anaheim Angels, who sported the best record in baseball. Sweep. Then, you had the Baltimore Orioles, who were tied for the 2nd best record in baseball, winning 96 games in the highly touted AL East. Sweep. And now, you have the San Francisco Giants. They may not seem intimidating on paper, but their success is undeniable. Going for three championships in five years, it will definitely be a David and Goliath matchup. And, Kansas City fans wouldn't have it any other way! What will unfold? Will KC go 12-0? Can they finish off the biggest underdog story in MLB history? We will have to see. One thing I do know is that no one will remember this if they don't. No one remembers the 2007 Rockies. So, you better just win the damn thing! This nice fall day marks the 10th day of the 10th month of the year 2014, which means that it’s time for us all to be grateful for what is the start of the pinnacle stretch of the sports calendar. For the next 21 days, we will be treated to a plethora of games across every major sport, from champagne popping in baseball to midnight madness in college basketball. So much action that even the NHL die-hards won’t know what to do with themselves. Trick or Treat? I say treat. It all starts with the MLB Postseason, in which either the long-suffering Royals or Orioles will be a participant of epic underdog proportions. Not to mention the possibility of a Black and Orange jersey showdown between the Orioles and Giants. How October-fitting would that be leading up to Halloween? From there, we have College Football with conference play finally settling in across the country, leading to upsets, shootouts and whacky rankings each weekend. Enough excitement and intrigue in the first year of the playoff system to make it necessary to have a case of the pumpkin beer of your choice handy each Saturday. NFL Sundays are becoming increasingly meaningful as contenders are taking form and fantasy league unpredictability is at a new height. Each week, owners should fear the breakout explosion from a little known third string running back on the other side of their matchup. The seemingly never-ending NHL season is underway, with the defending champion L.A. Kings already pinned with a loss to their name. That may be the only headline, as it’s simply just too early to think about ice or hockey. Then again, winter is right around the corner. In the meantime, expect numerous Chicago Blackhawk overtime victories and brief capsulated highlights, while you impatiently wait for the next big football highlight. For the sadists out there, though, this is something to enjoy and be thankful for. The NBA preseason has begun, which begs the question why they don’t just start the season well before Halloween and cut out these snoozer exhibition games. That said, one only has to wait until the end of the month for the 2014-2015 regular season to begin. After an annual October ritual of remembering who went where in the offseason, it didn’t take long to remember the unfortunate nightmarish realization that the Spurs are still the Spurs. Finally, the start of the madness that is the College Basketball season is nearly upon us. With practices firing up across campuses everywhere, we can only count the days until the formulation of March’s love baby takes place. Fight songs, dunks, Bill Raftery and much more. Get your candy corn ready and sit back and enjoy everyone. Bliss has finally made its way to your flat screens, IPhones and laptops. Happy October! Last week's action was a nice reminder of why we love college football. 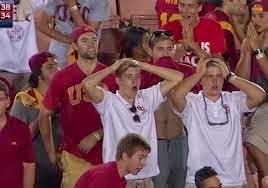 Sure, the NFL has far more superior players and sells beer at every game (only 21 colleges currently sell beer at the games), but no one needed pro talent or a buzz last Saturday to enjoy the chaos that ensued. Last weekend had it all: three of the top five and five of the top 8 went down, there was the Hail Mary heroics by Arizona State to upset USC with no time remaining, the four top Pac-12 teams were sent packing and much more. Perhaps the most fitting way to end the day, the Cal Golden Bears won a shootout 60-59 that stretched into the midnight hour (depending on your time zone), and no, Aaron Rodgers was not playing. An upset in the pros is not that meaningful; people will discuss it for maybe a week tops. Why? Because they are all professionals and capable of winning without it being that big of a surprise. But, college football upsets take on a whole other meaning. And last week, they came in droves. 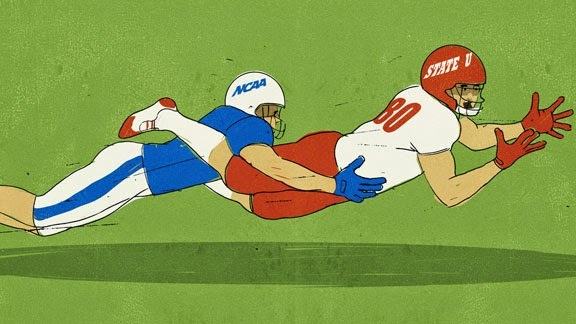 Unlike the pros, a bevy of upsets in college sends a paradigm shift across the country. With one game or even one snap, teams can miss out on their big chance at a championship or a big bowl. This urgency to win is what sends people off the edge of the seat, creating a week-to-week electricity and a swing of emotions that the NFL just can't touch. Being a part of the university makes you feel that you are part of the team, in a sense. You go to school just like the players (or like the players are supposed to), you immerse yourself in the same culture and you represent the same town. 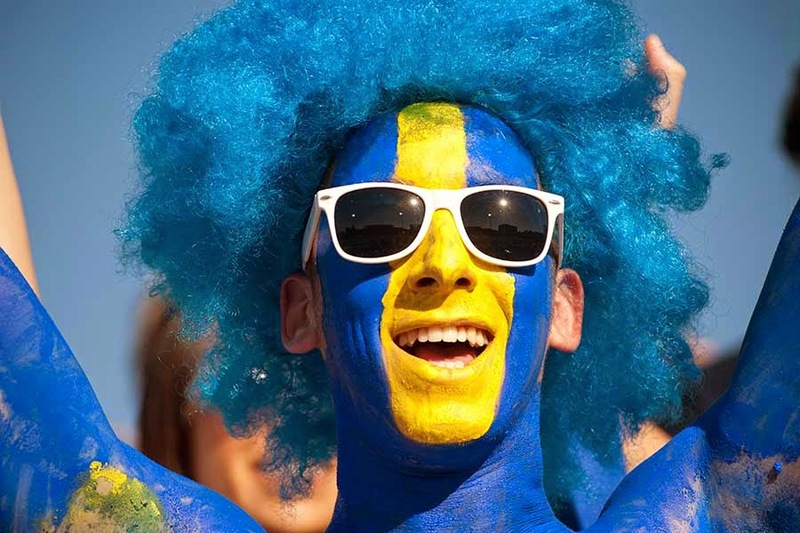 From the fight song to the painted faces, there's truly nothing like a college football atmosphere. For many, it's an out-of-body experience that can only be explained once you've experienced it yourself. Want a real out-of-body experience? 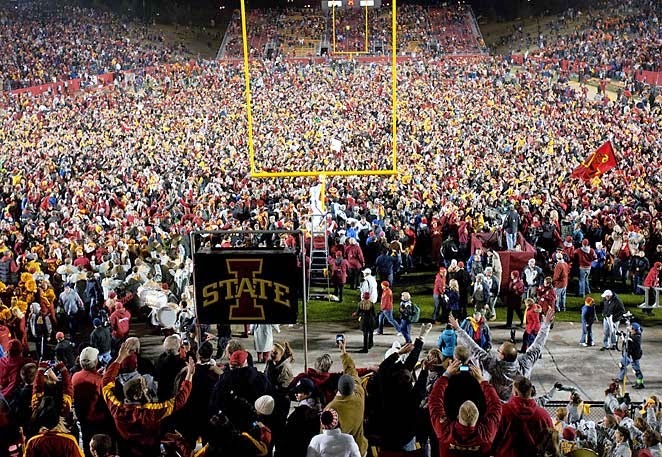 Your college team just pulled off an insane upset, and you run onto the field with thousands of other lunatic fans to celebrate. There's really nothing like it. As ridiculous as it may look on TV, it is a perfect representation of the epitome of college football chaos. One of the best things about college sports is that the players really do play for each other and their families, friends and fans. They are not paid (or not supposed to be), so everything is a level-playing field. The sense of pride that is gained from that should be appreciated by everything involved, from the players to the onlookers. From a psychological standpoint, one could argue that is what makes college football so exiting, despite the fact that the business side of it is a major turnoff. And, maybe players should be compensated more as a result. But, that's a topic for another day. It's wild, it's chaotic and it's so much fun! As cliche as it sounds, anything can happen in college football. You can be in a completely different division like Appalachian State and take out Michigan, or you can be a cinderella and win a mammoth bowl game like Boise St. did against OU, or you can simply have a crazy upset like the many we saw last week. Unlike the pros, these are amateur athletes playing for something bigger than money. That mindset, the opportunity for mistakes and the nature of a bounce here or there, can make all the difference in a college game. No team is truly a lock, making the college game such a fascinating show to watch. It's like Breaking Bad chaos before there was a Breaking Bad! Week 5 of the NFL season is in the books, and we are now immersed in the second quarter of the season. The calendar has flipped to October, which means upcoming games become increasingly more meaningful. With this in mind, it’s time to take stock of where teams stand. Without further ado.…here we go! Seattle Seahawks: The reigning Super Bowl champions haven’t looked as sharp as they did last February, but that may be the only slight against them to this point. The defense is top notch and aggressive, as to be expected. The offense and Russell Wilson are performing at a higher and more efficient rate than last year. That includes Marshawn Lynch, who continues to be an elite running back and playmaker. With defining wins over the Packers and Broncos already in hand, combined with San Francisco’s early inconsistencies, Seattle looks to be favorites to once again claim the NFC West division, as well as reach the Super Bowl as the NFC representative. Denver Broncos: The defending AFC champions and Super Bowl runner-up squad is squarely the class of the AFC again this season. Peyton Manning continues to deliver in the twilight of his career and leads an aggressive aerial attack. A dynamic receiving core anchored by Demaryius Thomas, Julius Thomas and a thriving Emmanuel Sanders have been perfect compliments to Manning. The running game combination of Montee Ball, Ronnie Hillman and C.J. Anderson, however, has been slow developing and is a concern going forward. On the defensive side of the ball, the team has improved, despite issues of consistently stopping the run. Von Miller’s presence leads a talented group that will be leaned upon more this year. Look for Denver to have to hold off upstart San Diego in the AFC West and fight for home field advantage in the playoffs, more so than in 2013. Philadelphia Eagles: The high-flying leaders of the NFC East have again translated their up-tempo style in 2014 into early success. Philadelphia has soared to 31.2 points per game average, which leads the league. Perhaps more impressively, they’ve done this largely without quality play from their star running back LeSean McCoy. While they wait for him to get going, the speedy and versatile Darren Sproles has proven to be a shrewd offseason acquisition. The ability of Nick Foles to distribute to an assortment of receivers, headed by the healthy and explosive Jeremy Maclin, in key moments has allowed the offense to fly. Concerns relating to McCoy’s production and avoiding large first half deficits have to be monitored as the season progresses. The defense is equally as enigmatic, as it struggles to stop the run consistently and allows opponents to accumulate large chunks of yards each week. Despite this, they do force turnovers and have a knack for getting the big stops late in games in each of their victories. This is all the more evidence of the Eagles “basketball on turf” style, with Chip Kelly establishing himself as the official “Don Nelson mad scientist” of the NFL. Keep an eye on these guys in the ever-tightening NFC East race, as well challenging for home field advantage in the NFC. San Diego Chargers: The upstart Chargers from a year ago have surprisingly carried over their swagger and success to this season. Philip Rivers continues his climb back from quarterback media purgatory with perhaps the greatest start to his career. He leads an effective and balanced offense in spite of injuries to key running game contributors Ryan Matthews and Danny Woodhead, and starting center Nick Hardwick. The slow start of wide out Keenan Allen has also been another hurdle San Diego has overcome. Longtime threats Antonio Gates and Malcolm Floyd, along with the resurging Eddie Royal, have softened the blow and allowed San Diego to be effective in the red zone. The defense has been simply outstanding; they stop the run and apply consistent pressure on opposing quarterbacks. Much like the Broncos, they will likely lean more on this unit in the coming months. While health will be a huge concern for this team, they’ll remain one of the best in the AFC and challenge the Broncos for the AFC West crown as long as they continue to plug away. Indianapolis Colts: Led by a polished and talented Andrew Luck, the Colts have once again established themselves as one of the league’s top offensive teams. Diverse receiving options include the ageless Reggie Wayne, T.Y. Hilton, Dwayne Allen, Colby Fleener and Hakeem Nicks. They have shockingly found nice balance with cast off running backs Ahmad Bradshaw and Trent Richardson to solidify their ground game. The turnovers and consistency of these backs going forward are the only things that can hold back this offense. Tough early losses to Denver and Philadelphia exposed weaknesses on the defensive side of the ball, which has, for the most part, been an improvement. An aggressive secondary and bright defensive-minded coach Chuck Pagano should allow for the unit to be reliable, but not great. Their ceiling is likely dependent on forcing turnovers, as giving up chunks of yardage may be a season long issue. All in all, though, the Colts are the frontrunner in the AFC South division and fans can look forward to many more high scores in the confines of Lucas Oil Stadium. Green Bay Packers: If there is anything to be learned by this season, it will be to not bet against Aaron Rodgers and the Pack after 3 games. They found themselves in a hole due to an unfavorable schedule, struggles on the defensive end and injuries upfront on the offensive line. While those issues will remain to be a factor, they have seemingly righted the ship with dominant victories over NFC North competition. Rodgers leads another successful aerial attack offense, with weapons such as possession receiver Jordy Nelson and deep threat Randall Cobb. The running game of Eddie Lacy and James Starks has been off to a slow start, but offers hope for productive balance. These guys can score with the best of them and there’s no reason to think that will cease. Concerns defensively about their ability to stop the run are real and have to be addressed. They do have strength on the back end of the defense and feast on turnover opportunities. The offense will continue to push this team forward, but expect them to hold on to the NFC North lead for the time being. San Francisco 49ers: Very few teams have had the recent consistent success of the Niners, and this year is no different. Despite reported internal drama and key defensive injuries, San Francisco has all of the makings of another threat in the NFC West. Frank Gore and Carlos Hyde present a very effective and almost dominant running tandem. The strength of this team comes on the ground where, hit-or-miss quarterback Colin Kaepernick provides support with his shifty legs and speed. Through the air, a bevy of solid receivers, including Michael Crabtree, Anquan Boldin, Steve Johnson, Vernon Davis and Brandon Lloyd, provide an array of targets. To say that Kaepernick fully utilizes them would be an overstatement, but they have found nice balance to compliment the run game. Coach Jim Harbaugh will have to get more out of the passing game for this team to compete come playoff time. On the defensive side of the ball, Patrick Willis and Antoine Bethea have shined on an incomplete but overperforming unit. With Navarro Bowman on the mend and Aldon Smith suspended, the Niners are sporting the 10th ranked defense in the league. Goals for the season have to include putting the Harbaugh drama to rest and getting to full strength on defense to have any chance to hang with Seattle in the NFC West. New England Patriots: The annual evil empire of the NFL strikes again, when faced with doubt and media scrutiny. Should we be surprised? After a week in which Bill Belichick and Tom Brady were blasted for an embarrassing loss in Kansas City, the Pats returned home and turned one of his most impressive primetime performances in recent memory. The route of the Bengals illustrated the resiliency and talent on the roster, as well as a potential spark going forward. Brady leads an effective, though more balanced, offense than previous years. Julian Edelman and Rob Gronkowski provide reliable big play targets, and the running game combination of Stevan Ridley and Shane Vereen has been productive. Questions about how much this offense can grow are worthy, as the offensive will continue to need work. To doubt Belichick and Brady on the offensive side of the ball is asinine, though, as they’ve mastered the art of scoring points for years. On the flip side, the defense has shown signs of improvement and has been able to create turnovers, particularly in the secondary. Darrelle Revis, Devin McCourty, and Logan Ryan have limited opponents through the air. The ability to stop the run has been inconsistent and will need to be worked on. If they can keep forcing turnovers and rely on Brady to make plays, there’s no reason to think New England can’t lead the AFC West for the remainder of 2014. Dallas Cowboys: Many will wonder how a 4-1 team cannot be included in the “Contenders” list, and it stimulates a worthy debate. That being said, this team is the Dallas Cowboys, who by and large consist of the same group of players and coaches who have been members of mediocrity and collapse in recent years. Not to say that this year will be the same, but one must look deeper at the 4-1 record and wonder if it’s only a mirage. Tony Romo leads the offense, and has been, for the most part, a better version of himself. He provides game-changing talented playmakers like Dez Bryant and Terrance Williams plenty of big play opportunities, and he occasionally turns the ball over in the process. It’s a defining characteristic for Romo that will always limit his ceiling but raise his floor, performance wise. It’s important to note that the offense this year has the added benefit of a superior running attack lead by Demarco Murray. Dallas has been able to run the ball at will, which lessens the burden on the rest of the unit. Can this trend keep up or will Romo be forced to throw more? This is going to be something to watch going forward. On a lighter note, the defense has improved from an awful 2013 unit, and gives them a chance to win by forcing turnovers. They still struggle to stop the run and allow large chunks of yardage, but have kept opponents out of the end zone to this point. It’s this paradoxical description of a team that makes you question on one hand how good they really are, but also appreciate how good they have been on the other hand. Expect them to hang around in the NFC East but ultimately yield to Philadelphia and potentially New York. Cincinnati Bengals: In the NFL a team is generally only as good as their quarterback, and the Bengals are no exception. Andy Dalton epitomizes mediocrity but is lifted by a solid running attack and the explosive A.J. Green. The offense has the ability to score with anyone but struggles in big game opportunities, as evidenced in New England on Sunday night. The Bengals are tasked with continuing to get the most out of the running game, in order to ease the pressure off of Dalton and their stout defense. The signature strength of the team resides on the defensive side of the ball, which has been effective in pressuring opponents and forcing turnovers. Carlos Dunlap has shined up front, and there’s no reason to think that will change. Like many teams, being able to stop the run has been a recent issue and one that they’ll have to correct. Despite numerous doubts, this team does have talent and should compete for the AFC North title; just don’t expect them to do much beyond that until further notice. 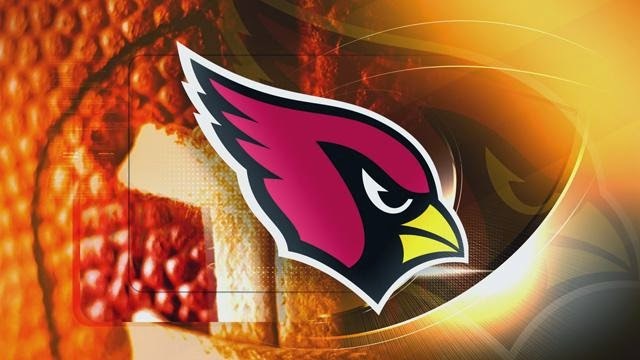 Arizona Cardinals: Much like the Bengals in the AFC, the Cardinals are a team that sports a solid defense and a talented offense with quarterback questions. Arizona has found their niche under Bruce Arians, playing aggressive defense and stopping the run consistently. Calais Campbell going down is going to be a huge short-term loss up front, but the secondary has been reliable and downright scary at times. If this unit can maintain their play, they’ll give a huge boost to an offense that could use the help. Quarterback Carson Palmer has missed significant time and looks to return soon, which should have a positive impact offensively. Though prone to turnovers and big game struggles, Palmer should allow for the running game to develop. Andre Ellington has shown signs of life lately, but the Cardinals lack a consistent second option, which is concerning. This looks like a team that will remain competitive throughout the season and be in the mix for a Wild Card spot, but don’t be surprised if they fall back to .500 for sheer lack of consistency. Baltimore Ravens: A true representative of annual success, the Ravens find themselves back in the hunt again this season. Perhaps they’re not as offensively talented as in past years, but defensively, they look to be back to their 2012 Super Bowl form. Haloti Ngata, Elvis Dumervil and newcomer C.J. Mosley anchor a stacked up front and middle, while the very talented Jimmy Smith defines exceptional modern day cornerback play. This unit stops the run and has improved against the pass, which allows for turnover creation and big plays. Not quite a vintage Ravens defense just yet, but could easily develop into one as the year goes on. The offensive side of the ball is where questions arise, ranging from adjusting to Gary Kubiak’s new offensive system to replacing guys like Ray Rice and Dennis Pitta. Incoming veterans Justin Forsett and Steve Smith Sr. have helped ease the burden. Quarterback Joe Flacco has developed great rapport with Smith, which has been essential, as Torrey Smith has seemingly disappeared in the new system. The lack of the deep threat Smith once provided, as well as Flacco’s inconsistency of throws outside those to Smith Sr., is an issue. This easily could be a team that fixes itself internally and takes the AFC North crown, but for now, expect a dogfight for the division. Detroit Lions: Oh how one play can change the perception of a team in the NFL, as is the case with the Lions. A late missed Field Goal and a blown lead at home against the Buffalo Bills will certainly do that. For Detroit, this was yet another great opportunity squandered, as they kissed away a chance to be 4-1 and in control of the NFC North division, ahead of surging Green Bay. Kicking issues haven’t been the only issues for this squad, with offensive injuries to key contributors Calvin Johnson, and running backs Reggie Bush and Joique Bell, limiting Matthew Stafford’s ability to move the ball. The offense has struggled to run the ball all season, and thus, will continue to struggle to score points. Fortunately for the Lions, they possess one of the top defenses in the league and apply heavy amounts of pressure upfront, led by Ndamukong Suh. A healthy pass rush has made a mediocre secondary elevate their play and create interception opportunities. Detroit will have to lean on their defense more than any other team this season, which makes the loss of Stephen Tulloch that much greater. In total, expect to see Detroit in several close low scoring games, resembling the one last Sunday, while they scratch and claw to hang in the NFC North race. Pittsburgh Steelers: This is flat out a different team than that of past years, in which the offensive and defensive strengths complemented each other. This year, the Steelers rely more on their offense to provide big plays and high scores, while there defense continues to develop. Big Ben Roethlisberger is his dependable self and is supported nicely by star running back Le’Veon Bell and secondary option LeGarrette Blount. The offensive line is improved and buys Big Ben more time for big play threats Antonio Brown and Markus Wheaton. Balance and explosiveness have kept the Steelers in games in which their defense let them down. Speaking of the defense, it’s important to note that this is a unit undergoing quite a youth movement in comparison to past rosters. Troy Polamalu provides veteran presence, but the progress of youthful Cameron Heyward, Ryan Shazier and Cortez Allen will dictate how good this unit can be. For now, the pressure will remain on the offense in order to avoid future slip ups against teams like Tampa Bay. If they can do that, Pittsburgh should be right in the hunt for the AFC North crown. New Orleans Saints: There may not be a more disappointing team through Week 5 than the Saints, who have struggled mightily on the road and given up an inordinate amount of points defensively. All of that being said, they are simply too talented and experienced for me to think that they are not capable of turning things around. The offense is once again very talented, led by its top-notch aerial attack featuring Drew Brees. The core group of receivers, especially Jimmy Graham and Marques Colston, have not lived up to expectations just yet, but have been supplemented successfully by newcomer Brandin Cooks and Kenny Stills. Look for continued improvement and results from not only this group, but also, the running game. Khiry Robinson has stepped in for the injured Mark Ingram to pair with Pierre Thomas and lead a strong ground game. They have anchored the offense and must continue to do so until the nagging turnover issues are resolved. We must not forget the pressing issue of the defense, which has frankly been abysmal. Inconsistency stopping the run is the first thing that must be addressed by Defensive Coordinator Rob Ryan. For years, the Saints have relied on an aggressive defense to make big plays from pressure forced turnovers. Unfortunately, this year, the youth and perhaps lack of talent has limited their ability to create pressure, leading to fewer big plays. Jairus Byrd was a high-priced bust and is now out for the season, leaving the secondary more of a question mark than it already was. It’s hard to say if this unit will turn it around significantly, but any progress would more than benefit an offense that is capable of keeping the Saints in games. This team, on talent alon,e will be the most intriguing to watch in coming weeks, and despite the negatives, don’t count them out in the mediocre NFC South race. New York Giants: The 2014 Giants provide the same abundance of questions and compliments, just almost all their teams have in recent years. Eli Manning has settled into their new offensive system very well after early hiccups. Rashad Jennings, prior to his injury, had been a key weapon in both the running game and passing game. Andre Williams, a rookie out of Boston College, will step in to shoulder the load for the time being, which should impact the offense a bit. This may, however, be balanced out by an improving receiving core, led not only by Salsa king Victor Cruz, but also, emerging playmakers Larry Donnell and Odell Beckham Jr. It’s sufficed to say that the Giants can put up points, despite consistently turning the ball over each week. The boom or bust style of defense has been improving lately, as they create pressure, force turnovers and stop the run. Nevertheless, they are prone to getting beat on mental lapse plays. Health and the continued aggressive play of the secondary will determine if New York can hang in the NFC East race for the time being. Beating the Eagles would be a huge first step, but don’t count on it. Carolina Panthers: It’s difficult to label a team that had such great success in 2013 and brought back loads of talent as a “Pretender,” but if any team fits the bill, it’s the Panthers. Cam Newton has not been 100% healthy, are they aren’t utilizing his running ability like they did before. Management allowing Steve Smith Sr. to walk in the offseason was an unnecessary and potentially developmentally harmful decision. They still can’t run the ball worth a damn, no matter who they throw out there, including stalwarts like Jonathan Stewart and the aging DeAngelo Williams. The offensive line has been equally inconsistent, which hasn’t helped Newton’s ability to stay upright. The lone bright spot for this unit is the emergence of Kelvin Benjamin, who has the looks of star potential. Panthers fans have to be wondering if only they had kept Smith to pair with Benjamin. Unfortunately, that’s not their only concern, as the defense, which was the staple of the 2013 season, has regressed due to the personal leave of Greg Hardy and a struggling secondary unit. In games where they have slowed the run, they have struggled against the pass, and vice versa. They do force turnovers, which have been crucial in their victories. It’s hard to see this unit improving much from here, as they’ll just have to bank on turnovers and a Hardy return. It would be naïve to count Carolina out of the jumbled NFC South race, but to have faith in them is a reach. Expect to see a wide variety of success and failure from this bunch. 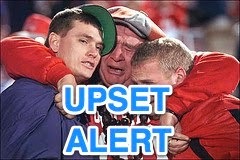 Buffalo Bills: Great start for the long-suffering franchise and fans that reside up on Lake Erie, as the Bills are 3-2! That being said, expectations and optimism has to be tapered by somebody, so here it is. Doug Marrone did a great job handling the transition from EJ Manuel to Kyle Orton almost seamlessly and got results to boot. An improbable win over the Lions on the road and the Bills are staring down at an AFC East first place showdown with New England this weekend. That’s where all of the rosy feelings should stop. The Bills constantly have found ways to hang with but not beat New England in recent years, and that should hold true again in 2014. The little brother, so close but so far syndrome, stems from their quarterback play. They just don’t have enough, whether it’s Kyle Orton or E.J. Manuel, to consistently finish games and put up enough points. Sammy Watkins looks like a hit and should stretch the field, making life easier for the flashy but mediocre backfield of C.J. Spiller and Fred Jackson. The defense is a huge strength for this team, despite significant injuries to Kiko Alonso and Kyle Williams. They just keep plugging away, and with a monster playing upfront like Marcell Dareus, don’t expect that to change. This defense will be enjoyable to watch all season and will set the tone against other teams consistently. Much like the Lions, be ready for numerous low scoring defensive affairs in which the Bills will have a chance to win. Chicago Bears: To quote the infamous Dennis Green, “The Bears are who we thought they were;” that is to those of us not enamored by Jay Cutler and his massive contract, or the Bears doormat defense. To be fair, Cutler has bought into Marc Trestman’s aggressive offensive system, which does yield points when not hindered by turnovers. The turnover problem for the Bears is two-fold, in that Cutler has always been prone to interceptions and the skill position players, including talented Brandon Marshall, Alshon Jeffery, and Matt Forte, have been coughing up the ball at an alarming rate. Combine this with Forte’s inability to establish the running game this year and the Bears have a huge problem. It must be noted that starting center Roberto Garza has been out due to injury, which has been significant. It’s still hard not to wonder, with such talent in the receiving core, how they aren’t able to put up more than the league average of 23.2 points per game. Speaking of points, it’s to the defensive side of the ball we go, where offseason acquisitions like Willie Young, Lamarr Houston, and Kurt Fuller have offered upgrades from the 2013 roster, but still haven’t yielded the dramatic improvement some in the media were speculating. The Bears have struggled equally against the run and the pass, letting up big plays at inopportune times. They don’t seem able to put a 60-minute game together each week, which eventually will have to change. On a positive note, they do force turnovers, which has fueled the offense through its own struggles. If their early season play is any indicator, expect the roller coaster season to continue with the Bears never entirely out of the NFC North race, but never entirely in it either. Houston Texans: Similar to the Bills, they were an early season surprise coming out of the gate with an improved defense and sense of direction under new head coach Bill O’Brien. They have since come back down to earth with a struggling offense and zero ability to stop other teams on the ground when they fall behind. Arian Foster, as usual, leads the running attack that represents their biggest strength offensively this season. Andre Johnson and DeAndre Hopkins have provided quarterback Ryan Fitzpatrick with productive outside weapons. That being said, Fitzpatrick often looks in over his head out there, and they don’t have enough talent outside of those key guys to put enough points on the board against stronger teams. Defensively though, the Texans have been extremely solid and have made do without rookie phenom Jadeveon Clowney. They bring consistent pressure in the form of a one man wrecking crew in J.J. Watt. They force turnovers, which has provided a necessary relief to the offense at times. Stopping the run has been a major issue and will be for the remainder of the season. It’s hard to see this team capable of recovering from early deficits or thriving in shootout style games that playoff teams must win. They have a chance to hang around in the downtrodden AFC South, but you get the feeling that Andrew Luck is the difference between them and the Colts winning the division. Kansas City Chiefs: First off, Andy Reid is a terrific coach and Alex Smith has impressively fought to earn respect as a productive starting quarterback in the NFL. Those are givens, but let’s be honest and note that those were compliments worthy of the 2013 version Chiefs. This year’s team has been erratic and left observers with an empty feeling that there should be more. Jamaal Charles injury issues aside, this team should not be as inconsistent and lost as they have been at times. The same offensive system is in place, but their guys are just not making key plays. Alex Smith is only as good as the talent around him, which isn’t to say that he’s not good, but he is limited. He doesn’t have that “it factor” to push the offense much past league average. Thus, the Chiefs have to rely on their rounded, yet inconsistent defensive play. Simply put, it’s very difficult to score on them, but they don’t necessarily scare you with their inability to contain the ground game and their lack of creating turnover potential. Put the two together and you have the definition of a mediocre football team. It seems like their season will come down to one game, and it will be a game they have already played in Week 1, in which they were dismantled at home by a discombobulated Tennessee Titans. That doesn’t generally happen to good teams. They’ll keep it interesting in the AFC West and could settle nicely into a spoiler team in the AFC Wild Card race, but don’t expect big things in 2014. Atlanta Falcons: From perennial Super Bowl hopeful to just hoping to hang on past Halloween, no franchise has tumbled further faster than the Falcons. Despite talented individual players like Matt Ryan, Julio Jones, and Roddy White leading a high scoring offense, their defense has a polar opposite. The mix of youth and aging veterans has not been an effective combination for a unit that is constantly gashed for big plays on the ground, and then through the air no matter the opponent. They lack a pass rush and, as a result, expose their youthful secondary too often. They have shown an ability to force turnovers, but not timely ones. Barring some sort of miraculous work by defensive coordinator Mike Nolan, they’ll hemorrhage yards and points all season long. On the offensive end, the 30.2 points per game average is one of the highest in the league, which means they can move the ball and move it quickly. Deep play threat Julio Jones is an incredible playmaker that complements the abilities of Roddy White and Devin Hester. Let us not forget Harry Douglas, who, when healthy, makes this receiving core one of the most talented out there. In spite of all of this, there is still a sense of something missing and that something is the dependability of Tony Gonzalez, who retired after last season. This loss impacts Matt Ryan the most, as he lacks a trustworthy safety blanket when the deep play isn’t available and when the Falcons are in the red zone. Ryan has had past issues finishing drives, which is something that must improve this year, as the Falcons could potentially be involved in a shootout every Sunday. They’ll be an entertaining team to watch down the stretch, but ultimately, will have to settle into a spoiler role behind the Panthers and Saints in the NFC South. Miami Dolphins: A harsh indictment for a team that seemingly finds itself in the playoff conversation at least until later in the season, but does anyone really have faith in the quarterback, the coach, the owner or snowflake the dolphin anymore? There is a good amount of talent in Miami, accompanied with never ending drama it seems. Head Coach Joe Philbin has seemingly been on the hot seat since last season and the same goes for Ryan Tannehill. Success is often a result of trust, communication and organizational support, areas that neither the play nor coach seems to have, which has directly impacted the play on the field. They are talented enough on both sides of the ball to beat or lose to anyone on a given Sunday. The inconsistency of the passing game though, combined with turnovers, will negate any positive growth the running game or defense achieves. They can remain competitive based on talent, but they aren’t much of a threat in the AFC East to better-run teams. This needs to be an evaluation year for everyone involved. Cleveland Browns: You’ll be hard-pressed to find a more likeable and unexpected hero than what quarterback Brian Hoyer has been for the success-starved Browns. A guy who was scrutinized and questioned all preseason has delivered and shown up those who demanded that the rookie from Texas A&M should be starting. He has led a very balanced and capable offense down the field every week and pulled off impressive comebacks right and left. The result of which has kept the youthful Browns competitive and within striking distance every week. Ben Tate, Terrance West and Isaiah Crowell have provided a solid running game to supplement an array of receivers at Hoyer’s disposal. Andrew Hawkins stands out as a quality pickup from the Cincinnati Bengals. Simply put, the defense needs work and that will have to be addressed in the 2015 Draft, but Mike Pettine has done a tremendous job early. It’s just unfathomable that their success will last, but here’s hoping it does and the magical ride continues for Cleveland’s sake. Minnesota Vikings: Each season, it seems like one team gets dealt the worst hand of luck cards possible. This year, it seems that the Minnesota owns that unfortunate fate. Overcoming the loss of not only starting quarterback Matt Cassel, but also, star running back Adrian Peterson is too much for the rebuilding Vikings to absorb at this point. Rookie Teddy Bridgewater and Matt Asiata have offered glimmers of hope as replacements, but not enough so to improve an incomplete roster. Under new head coach Mike Zimmer, this team is a work in progress on both sides of the ball, as they don’t threaten opponents downfield very often, and don’t stop the run, making sustained momentum nearly impossible. They’ll be an interesting team to keep an eye on next season, but this year will be about evaluating Bridgewater and his potential. Washington Redskins: This year’s edition of the Redskins looks fairly similar to recent teams, in that, despite an abundance of flashy offensive potential, there seems to be little success in terms of wins. Kirk Cousins and Robert Griffin III have shown potential, followed by disappointment, at the quarterback position. Alfred Morris and Roy Helu Jr. combine for a decent backfield but nothing special. The receiving core features speedy deep threat playmakers Desean Jackson and Pierre Garcon, but rarely does the team get them the ball. The offensive line could use some work as well, once Head Coach Jay Gruden quits waffling and makes a final decision on Cousins or Griffin III as the team’s permanent quarterback. The defense is an absolute train wreck outside of Ryan Kerrigan and the injured DeAngelo Hall. It’s going to be a long season in the nation’s capital, as the Redskins should finish dead last in the NFC East. New York Jets: Speaking of overhyped East Coast disappointments, the Jets also make the list of teams that are waiting for better days. Rex Ryan has likely run his course with the New York media and a GM that will look to save his job first. Geno Smith has largely been a bust, though that isn’t too shocking. The receivers and the offensive line are terrible and provide no support to an unimaginative and bland offensive approach. The running game has been the lone bright spot, as Chris Ivory has been effective, yet Chris Johnson, not so much. The defense has to be the most frustrating of it because they can stop the run and put consistent pressure on opposing quarterbacks but get burned in the secondary and don’t make the big stops necessary to get off the field. The only reason they’re not lower on this list is that they’ve managed to somehow hang around in games. The belief that Rex Ryan was going to squeeze the most out of this lackluster roster was more wishful thinking, and it looks like the Jets will be back at square one come next year. St. Louis Rams: If there were a runner-up category for the team dealt the second worst hand of lucky cards, it would be the Rams. 2014 was supposed to be the season that quarterback Sam Bradford was healthy and stepped into a team that was ready to be competitive and make strides. Unfortunately, for Jeff Fisher, neither of these has come to fruition. Bradford never made it out of the preseason due to injury and the talent on the roster has not developed as advertised. On offense, the running game under Fisher will always be solid, as his system is timeless in the NFL. The passing game, however, is a different story. Austin Davis has been impressive and fun to watch at quarterback, but his play doesn’t translate yards into points, as once promising drives end in field goals or turnovers. That’s not a successful formula, especially behind a struggling defense incapable of applying any pressure. A Surprisingly strange statistic for a Gregg Williams defense is having only one sack thus far. Barring unforeseen bounty bets or rapid improvement, there’s no way the Rams will win games with this unit. Fisher teams always play hard so watch out for close games and a couple upsets, but this team is at least another draft away. Tampa Bay Buccaneers: It has been a rough start for Lovie Smith down in Tampa this season and don’t expect that to change this season. The Bucs have remained competitive in most of their games but are held back by a transitioning young defense and even more youth at key spots offensively. Mike Glennon has seized the quarterback job from Josh McCown and should be the guy the rest of the season. He may not be the answer, but on occasion, has shown some flash in the past. The running game hasn’t been reliable, despite some success by Bobby Rainey, which only further puts pressure on Glennon to throw. The one saving grace for Tampa Bay is that they have a couple big play targets in Vincent Jackson and Mike Evans. On the defensive side of the ball, there is not much to report other than it’s not good. Buccaneers fans need to be fully prepared for shootouts and long afternoons for the remainder of 2014. Tennessee Titans: Ken Whisenhunt and the Titans need to only look up at the Bucs to understand their troubles. New coach, new system and old leftovers. Jake Locker is never healthy and is erratic when he is, making the quarterback position priority number one going into 2015. They have been able to move the ball rather well, but untimely turnovers have really kept them from being competitive. Offensively, there are some nice weapons like Bishop Sankey, Delanie Walker, Justin Hunter and Kendall Wright. But, there’s a lot of work to be done on the line. Defensively, expect to see an overhaul of players to fit Whisenhunt’s 3-4 scheme next year. Long road ahead for the Titans, but don’t be surprised to see them become competitive ahead of schedule. Jacksonville Jaguars: Blake Bortles. Blake Bortles. Blake Bortles. No, unfortunately for the Jags, summoning the rookie quarterbacks name three times doesn’t yield instant success. But, it does inspire future hope. Bortles and rookie receiver Allen Robinson have been a much-needed shot in the arm following a dismal start. The offense has shown signs of improvement but will need health and more talent on its side in order to improve. A youthful receiving core of Robinson, Allen Hurns, Marqise Lee, Cecil Shorts, Ace Sanders, Justin Blackmon and Mike Brown has loads of promise. That said, injuries to Lee, Shorts and Mercedes Lewis, along with suspensions of Sanders and Blackmon, have crippled the development process on the field. The offensive line and running game leaves much to be desired and will likely require attention in the 2015 draft. Same goes for the defense, which is led by extremely talented Jonathan Cyprien and veteran Paul Posluszny but little else. Head Coach Gus Bradley will have to work to inspire this group to fight to be competitive until more talent arrives because there are serious deficiencies. Oakland Raiders: Like father like son sums up what should be the mantra out in the East Bay. The Raiders let Dennis Allen go during the bye week, further promoting instability in the most instable football environment across the league. General Manager Reggie McKenzie may be the next to go, as ownership lusts over pipe dreams such as Jon Gruden and Mike Holmgren. In the meantime, keep an eye on rookie quarterback Derek Carr upon return from injury, and rookie linebacker Khalil Mack, as they represent what little talent is on this makeshift roster of washed up veterans and waiver wire pickups. Just win baby in 2015. Royals Mania: I'm officially on the bandwagon.